Massacres are still happening, whether its the 17th century or the 21st. Colonists brought the United States’ first guns along in the early 1600s. The 2nd Amendment has protected them from 1791 until now, and since, they have been used to both defeat and self destruct nations as they stand. Through it all, there has been skepticism, and the skeptic population is rising. The massacre in Las Vegas on Oct. 1 of this year left 58 dead, 546 injured, and countless in devastation of this tragedy. In terms of casualties, this mass shooting is of the highest extremity since the ¨Wounded Knee Massacre¨ of South Dakota in 1890, where an estimated 200 Native Americans were mercilessly gunned down by the U.S. army. Mass shootings have proved themselves to be more than a one time thing, so why isn’t more being done? As a country living and breathing under the idea that freedom is of utmost importance, the 2nd Amendment loudly states, “A well regulated Militia, being necessary to the security of a free State, the right of the people to keep and bear Arms, shall not be infringed.” It’s hard not to bow down to the document that basically defines your citizenship, but maybe some things need to be reevaluated based on the patterns of American behavior. The United States has a murderous history with firearms. After 200+ died in the Wounded Knee Massacre (1890), nothing was done about gun laws. After 19 were pronounced dead and 43 injured at the University of Texas (1966), somehow, America stayed calm. After 19 innocent people died in a McDonald’s restaurant (1984), nothing changed. After 49 were killed in Orlando (2016), you can guess what happened. After a man open fired from a Mandalay Bay hotel room a month ago, President Trump, self proclaimed ‘2nd Amendment maven’ announced, “we’ll be talking about gun laws as time goes on”, and later stated, “we’ll talk about that later” when asked about the increased availability of gun silencers. A tipping point has been reached in the United States where one dead, two, 20, even 50 lives lost isn’t enough to spark change. But of course, one side of the story is never enough. Senator John Kennedy of Louisiana expressed his opinion. “I don’t think our problem in America is gun laws. I think criminals obey gun laws like politicians keep promises. And I just hate to see this issue politicized. I don’t know why bad things happen to good people, but they do in this world, and what happened in Las Vegas was terrible. But we can’t legislate away every problem in the world.” The notion that laws won’t stop criminals is what the general public in support of lenient gun regulations has agreed upon. Mark your calendars on November 15 because Reagan’s Choir Concert returns. The choir concert is a musical event that is hosted in the auditorium at 5:30 p.m. that showcases Reagan’s talented singers. This is an opportunity for making music at Reagan and students share their talent with Reagan's many parents and classmates. Developing a music program requires passion and effort from all students and music directors. The choir director is Erica Breitbarth and her companion, Heidi Wylie, who is the associate choir director. The choir director's job is to ensure that all the students are ready for the choir concert and to guide them towards a successful choir year. Each year at Reagan there’ are two choir concerts that take place during the fall semester and another one during the spring semester. The music might be different but the music attire is always the same; black Vera J. Zilber Music Department polo shirt, black pants, and black shoes. “This should be an exciting thing for students who are interested in the music department,” said Breitbarth. Wylie explained that this upcoming choir concert includes a wide variety of musical styles. The fall choir concert will have a range of languages apart from English. This might be challenging for most of the students that have a difficult time remembering the lyrics. What’s also different from last year’s choir concert is that this year there are more orchestral instruments accompanying the choirs. As a result of Reagan’s very own band, there will be more instruments than the previous choir concerts at Reagan. The type of music will also be a range of folk music from countries around the world. To prepare for the November choir concert, sophomore Aleeya Sengdao drinks plenty of water before practice. She also tries to remember the lyrics so she won’t forget them when she’s singing. She states that the most challenging part is to sing in the right note. What helps it that before the performance, as a group, they will do a warmup to prepare for the performance. Although the performance is mandatory, the choir concert is a fun experience to be apart of. The students in the music department takes weeks to prepare for the choir concert. Students will have time to prepare on their own times but if student doesn't know how to prepare for the choir concert, Husky Howler provides tips on how have a successful choir concert. Come and support them on November 15 and good luck to those who will be participating! Thanksgiving is not only the time of giving thanks and being with your family, but eating as much pumpkin pie as you can and overdoing it on the turkey. However, amidst the warm and fuzzy feelings, chaos lurks, waiting to strike and wreak havoc. It’s not anything to be ashamed of, because it happens to the best of us. Whether it’s rushing to finish last-minute dishes or steam emitting from your mother’s ears as her face is as red as the cranberry sauce chilling in the refrigerator. Sometimes, it’s just too much. Luckily for Milwaukee residents, there are plenty of suitable and affordable restaurants that can serve as a temporary replacement for the famous holiday. While we all enjoy the annual holiday, we usually don’t remember it’s origin. 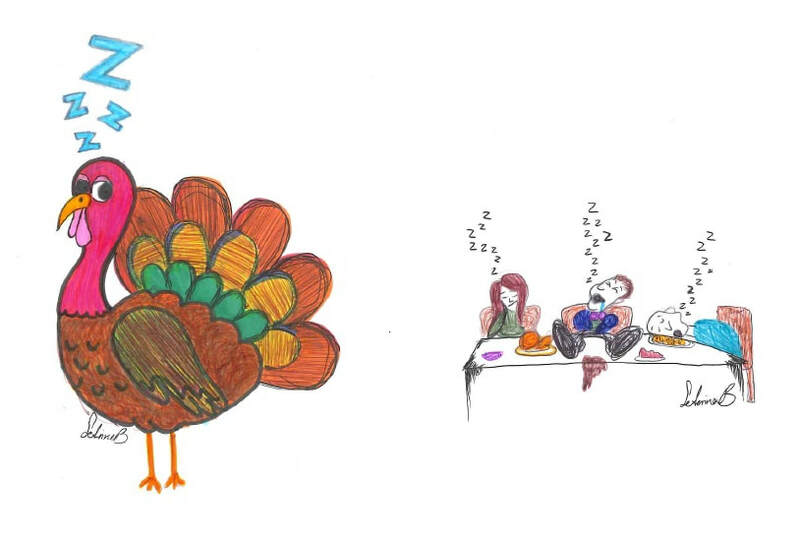 So, what exactly is Thanksgiving? Thanksgiving is the anniversary of an autumn harvest feast that was shared between pilgrims and native americans. This feast took place in the September of 1621, shortly after the Plymouth Colonists came to the New World on the infamous Mayflower. Once a brutal winter had passed, and the pilgrims and befriended a Native American who helped them succeed at their first corn harvest, they organized a celebratory feast which lasted for three days and has since been known and the “First Thanksgiving”. In 1863, as the Civil War dragged on, President Abraham Lincoln declared Thanksgiving as an official holiday, after people had been celebrating it for decades. While the common Thanksgiving celebration usually doesn’t last for three days, it still a time to come together and give thanks for the things we are fortunate to have. Many of the foods that we enjoy during this celebration include turkey, mashed potatoes and gravy, stuffing, and cranberry sauce, among many others according to preference or tradition. Aside from eating, Americans also celebrate through football games and many different Thanksgiving parades, featuring floats, music, celebrities, and giant balloons. One of the biggest and most lavish parades is the Macy’s Thanksgiving Parade held annually in New York. A few of the best restaurants can be found in Milwaukee, including the following. While Boston Market may seem like a fast food chain restaurant or of cheap quality, they actually have a wide variety of dinners, specials, and Thanksgiving meals. Their Thanksgiving menu includes individual meals or a “Feast for 3”, which include large enough quantities to feed three people. Each includes sides, rolls, turkey breast or rotisserie chicken. They also include a slice of pumpkin or apple pie for individual meals, or a whole pie for the “Fest for 3” special. You can choose your sides from a wide range of annual holiday favorites such as mashed potatoes, sweet corn, mac n’ cheese, or vegetable stuffing. You can also choose a 2-liter of any Coke product or from a variety of appetizers, including but not limited to corn bread and cranberry-walnut relish. Although Boston Market isn’t so much of a “dine-in” restaurant as a delivery or pick up one, they are still a family favorite of many. They do include a dining area where you can choose to eat your meals, or you can bring your Thanksgiving feast straight to your home. One of the many restaurants is located 2678 S. 108th St. in West Allis. The dining area and environment is clean and friendly. The staff and cooks are very amiable and will always greet you with a smile. The food is delivered hot and ready to be relished. What better way to spend your Thanksgiving with a good meal, your family, and the football game, without the hassle of cooking it yourself? You read their menu in further detail on their website https://www.bostonmarket.com/menu/. The Packing House, while on the more expensive side, is a great choice if you’re feeling lazy this Thanksgiving. Not only do they serve Thanksgiving meals (available only on Thanksgiving), but other holiday specials as well, such as Easter and Christmas. Their Thanksgiving menu includes: “Hand-carved, slow-roasted Turkey. Served with hot gravy, Apple & Sausage stuffing, house-made Mashed Potatoes, Brown Sugar-glazed Sweet Potatoes, Green Beans Amandine & fresh whole Cranberry relish. Served with Chicken Soup made today or Salad and fresh oven-baked bread” (Packing House Mke). Not only is the food phenomenal, the Packing House also offers live music at least 4 days each week! Lunch is served from 11 a.m. to 3:30 p.m., Monday to Friday, and Dinner is served Sunday to Thursday from 4 p.m. to 9 p.m. The Packing House has a family friendly environment where you can enjoy your meals. Food is always served hot and the staff are one of the friendliest in Milwaukee. Not only is the environment fun and lively with live music, but it’s clean and safe. You can stop by the Packing House this Thanksgiving at 900 E. Layton Ave, Milwaukee WI, near Mitchell Airport or check out their digital menu online at http://packinghousemke.com/holiday-menus. The third and final restaurant you could give a visit this Thanksgiving is Final Approach. You can find Final Approach at 4959 S. Howell Ave. or at 414-744-7060. Final Approach is a fun diner-type restaurant that also features an open bar, seasonal patio, a rooftop airplane (no, you can’t go in it! ), and frequent live music. While their menu doesn’t state that they serve a “Thanksgiving Special,” they offer a wide variety of foods including: soups, wraps, steaks, salads, sandwiches, burgers and specials, such as pork chops or salmon. They also offer a wide range of desserts, appetizers, and their signature Chef’s Choice, which changes daily. You can check out their online menu at www.finalapproachmilwaukee.com. Final Approach has a very unique and friendly atmosphere. The waiters and staff are nice, and the food is delivered to your tables hot and ready to enjoy. The live music from 6 p.m. to 10 p.m. is entertaining to watch and listen to as you enjoy your meal, and the environment around you is clean, lively, and uplifting. It is a great place to enjoy your Thanksgiving with your close family, friends, or just that special someone. History.com Staff. “History of Thanksgiving.” History.com, A&E Television Networks, 2009, www.history.com/topics/thanksgiving/history-of-thanksgiving. Our school is known to be one the best in not only Milwaukee, but Wisconsin. This not only includes our learning curriculum, but also the many extracurricular activities as well. Reagan offers a wide variety of extracurricular activities including sports, art clubs, reading clubs and many more. One of the most prominent after school activities is the annual musical production run by Ms. Baker and Ms. Breitbarth. One of the most prominent after school activities is the annual musical production run by Ms. Baker and Ms. Breitbarth. This year’s musical production approached just as fast as Cinderella’s clock struck twelve. Both teachers first decided to start producing musical during 2009. ​ “When Ms. Breitbarth started at Reagan a year after I did in 2009, I approached her and we knew we'd make a great musical theater team. “We produced our first the next school year,” said Ms. Baker. The 2017-2018 Reagan musical will be Rodger’s & Hammerstein’s “Cinderella”. It actually wasn’t the decided musical, and was chosen after Ms. Baker saw the production at Marcus Theatre the April before. She believed that it “...has several of the same themes that the other show we had chosen has, but is even more relevant to society today”. While the final result is no doubt, magnificent, the behind-the-scenes is even more fascinating. Stage Crew, Actors, and other contributors of the process have to work together to put on a show that won’t be forgotten. “Mr. Onorato and the stage crew members work to build and design sets and sets and keep everything running smoothly during the performances. Ms. Breitbarth and the orchestra play the music that allows for the musical to actually occur,” said Ms. Baker. Each year, a lengthy audition process is undergone. Even students who aren’t given a part, learn new techniques to improve and learn how to better their skills for the next year’s production. Students who auditioned not only had to audition for the acting portion, but singing and dancing as well. Auditions ran Monday, October 23 through Friday, October 27 after school and on Friday, call back auditions were held for students who were being considered for a lead role. Dancing auditions included learning a short dance during the workshop, practicing, and then performing with a small group. Singing auditions included singing a short excerpt from the chorus, memorizing it and then performing it alone. Finally, acting auditions included memorizing one of the dialogues and projecting that character during the audition. In order to audition, students had to register online by Friday, October 20 and maintain a 2.0 GPA. Students also had to return a sign Rehearsal/Performance contract. One fellow freshman student, Christian Griffin (finding out last name)said that the process was “actually pretty easy. It wasn’t [too] difficult and it was a fun experience. It was [however], nerve-wracking. I was nervous at first but [soon] it became an enjoyable experience”. So what exactly can be taken away from the musical? Well, not only can students create new friends, but they can improve their acting skills. “[Ms. Baker] is really helping me with voice projection and making sure that I’m loud [enough],” Christian Griffin, freshman student. While many students have different opinions about the musical auditions and lengthy process, there is another side to the story. For the teachers and producers behind this musical, the process is twice as tiring. They not only have to hold the auditions and cast the actors, but they have to let the people who didn’t make it know. That is not only hard for the students to hear but for the teacher as well because they know that the student will be upset. Most students who audition don’t realize that there isn’t room for everybody in the show. For Ms. Baker, “... It's really hard to watch students try their hardest and realize we can't cast everyone who auditions”. School musicals are often overlooked as light hearted productions that are just for fun; However, many students find their voice during the musical process. “So many student say they don't fit in in high school, but when they come to musical, they feel a connection to others and they feel a sense of family. I believe high school is more about the experiences you have and not the classes you take. I want to give students as many positive experiences as possible,” said Ms. Baker. The United States Military Academy at West Point acts not only as a rigorous four year university but also trains new leaders for the United States Army. It is one of the five service academies — the others include Navy, Air Force, Coast Guard, and Merchant Marine. West Point was founded in 1802, and focuses on academic rigor, military discipline, and physical challenges. Cadets can choose from over forty academic majors, and all receive a Bachelor of Science degree upon graduation. The physical program spans all four years, and cadets must pass a military movement (physical education) class in order to graduate. Career development is mostly geared towards cadets becoming officers in the United States Army after graduation. Military training primarily takes place during the summer at Camp Buckner and other bases. The first summer includes training in rifle marksmanship, land navigation, and close combat. By graduation all cadets underwent leadership training, attended Airborne or Air Assault school, and interned as an officer in international active duty units. But how does one even get into West Point? It is not an easy process, and has to started early. One has to create an account on the West Point website in order to start the application process. One must also be medically cleared (have a medical examination) and pass a specific physical fitness test. One of the most important requirements is getting what is called an Appointment with the vice president, congressperson, or senator from your state. In order to get that Appointment one must schedule an interview with those people, get interviewed by at least one, and then get chosen by that interviewer to receive the Appointment to West Point. It is not easy getting an Appointment, because depending on the state around hundreds of people are attempting to get Appointments at the same time. For every one hundred applicants to West Point, only nine are accepted. Once someone is accepted to West Point and has officially decided to go there, they must arrive for basic training on Reception Day (R Day). This six week basic training is also known as Beast, because it is exactly what it sounds like. It is mentally and physically draining, meant to break cadet candidates down before building them up to be successful officers. Those that make it through Beast prove that they are truly dedicated to West Point and serving their country in the Army. They are officially called cadets on Acceptance Day (A Day), which is also a day where family can come and see them after extremely limited contact during Beast. The challenges do not end with Beast, though. Cadets much meet different requirements during their four years at West Point. If those requirements are not met, then a cadet will be dismissed from the academy. Cadets at West Point are not known as freshman, sophomores, juniors, and seniors. Instead they are known as plebes, yuks / yearlings, cows, and firsties, respectively. Plebes stands for plebeians because they are the lowest of the ranks at West Point. Yuks / yearlings have a year under their belt at West Point, hence the name. Juniors are called cows because cadets were only allowed home once a year, and their families would feed them extremely well. An officer at West Point remarked that when the cadets returned from home they looked like cows coming off of a cattle car because they looked so well fed. Seniors are known as firsties because they are first class cadets. The weekend of the twenty-first of October was Family Weekend at West Point, where families of cadets could come to West Point and spend time with their cadet. Featured below is a video created by Corinne Kronschnabel that details their weekend in New York and West Point. Their brother Simon is a yuk at West Point. It’s the time of the year where Milwaukee turns bright at the Boerner Botanical Gardens. This yearly special event occurs in the span of a month between September 22nd through October 22nd in the fall season. People from around the state come to the event known as China Lights to see forty-five brand new lantern displays, over 1,000 LED lighted components, cultural demonstrations and displays, and two stages of live entertainment. The nightly event from 5:30 pm to 10:00 pm also provides Asian and western food and beverages. This would be the second international tour of the grand lantern festival at the gardens provided by Chinese artisans from Sichuan, Tianyu. They are returning to create a better and brighter show of extraordinary lights. Over the course of two months, Chinese artisans and staff will build over fifty exhibitions with more than 1,000 decorations. To make the magic happen, these displays will be covered with LED lights that give amazing visuals and an illusion of a paradise. The whole show is a total of three miles and if you’re willing to see the entire festivities, it will take about two to three hours. These displays of lights are connected with the culture and history of China. In China, light festivals have been celebrated for over 2,000 years and are enriched with China’s most promising traditions and history. The China Lights began long ago when the Eastern Han Dynasty (years 25-200) still had a rule over the people of China. The Eastern Han Dynasty and the second emperor of China was known for creating an economy that prospered and gave hope for many people in China. The Dynasty was supportive of Buddhism, a religion that believes in the power of knowledge and a reality of nirvana. One day, he heard from his people that monks were lighting lanterns in the sacred temples to show respect to Buddha on the 15th day of the first lunar month. In the hours to come, he commanded that all temples and households should light lanterns on that very same night. This event became popular in the community for years to come and over 4,000 years later, people still celebrate it. The main activity is watching the stunning lights at night, but there’s other amazing experiences that follow. If you go you will also see a variety of Chinese folk-culture activities. A popular chinese culture activity is playing Mahjong. This game takes years to master since there’s Chinese symbols and rules that make it hard to win. Mahjong was usually accompanied by the China Lights festivals in which parents played this game after dinner until the night came. When the night came, people would come together to prepare for the light festivals. If you’re more into Chinese foods than culture activities, China Lights provides a wide range of Chinese cuisines that you can purchase during the nightly event. Restaurants such as Lychee Garden, Tanpopo Ramen Sushi, and Greenfish will have foods like the following: chicken egg rolls, california rolls, sweet and sour chicken, and teriyaki chicken. All the foods are under ten dollars with beverages like green tea and Ozeki Sake. In Chinese culture, green tea is an important aspect of daily life. The art of making green tea has been going on for thousands of years and benefiting the people who drink it with good health. If you’re just going for the food, the experience of stepping into a new culture, or just want to see the China Lights, just remember to take plenty of pictures. It’s a visual experience that you don’t want to miss! Five out of the seven day long week students attend school. Almost every day they are faced with the same people, but due to human nature the constant contact with their peers causes them to slowly start take them for granted. But luckily the month of thankfulness has come, meaning it’s time to give thanks to the things and people that have a large affect on your everyday life. One of the groups of people that are commonly taken for granted are teachers. Though at times they seem like people who love to pile on homework, they also play a major role in shaping you as a person. Though they may not seem as important as your friends they have a tendency to make a mark in the long run. Though teachers are indeed paid to help students learn their designated subject, there’s a difference between a good teacher and a teacher that doesn’t always put the student’s education first. To have an individual take the job of helping people extend their knowledge is an important duty, and with a good teacher their lessons are more likely to resonate within and stick with you. Teaching students — especially the non-cooperative ones — takes a lot of work, but with their dedication and love for supplying information doubles the effect of teacher’s lessons. Though it’s a teacher's job to help a student learn new information they also take on an immense amount of other roles. Many dedicated teachers — especially ones on the Reagan staff — take great pride in the student body, meaning they not only want you to succeed but will support your journey through your years at school. Though students may have peers, teachers are usually always willing to lend a supportive hand. They’re there to support you, which in the end will be beneficial due to you now having an outside source other than family and friends to boot your skills and likings. Though this seems like a very simplistic action this definitely will brighten someone's day. Imagine getting a letter that ranges from one to three paragraphs about how awesome you are. If for some reason they are feeling down it is sure to put a smile on their face and get you brownie points. A few things you could add into your letter/note are how much you like their teaching ethics, how great they are as a person, and how much you have learned in their class. Being straight up with your compliments. Though a note is absolutely amazing, being straight up and approaching a teacher directly to compliment them will definitely have a larger effect. In addition it will show your dedication to proving how great they really are. The same topics when writing a letter can apply to you telling them. Bring a gift of gratitude. Bringing a gift for a friend on a birthday or holiday is always special, but a small part of them expect it; however, a teacher getting a gift from a student will definitely be a surprise. A small meaningful gift given from the heart is always touching. Maybe a gift card or a book that they have been talking about not only helps to show you are listening to them but also shows that you care. Be responsible, safe, and respectful. If you are not a person to go out of your way, following the school guidelines will always be helpful not only for you and your education, but also for your teacher. How? Well not only it will help students stand out amongst the noisy kids, but it will show the dedication you have towards your education. A few things you could do are great them in the morning, complete the homework (on time), and stay quiet when the teacher is speaking. Yes, teachers will always be an authoritative figure but it’s important to realize all what teachers do for students. They not only help you learn the subject they teach but also “Show how to not only succeed in the world but also how to enjoy it,” says Chris Robieki, a sophomore. “In addition teachers and students make memories that stick with us on the road to adulthood.” Teachers are viewed as someone students can trust, someone who you can go to for help with school problems and outside of school issues, and are people who not only cares for the individual student but their future as well. Teaching is a very difficult job, but with the right teacher and a dedicated student you will be able to obtain an amazing experience. Be thankful for your teachers this month, after all they are thankful for you. Death is a scary thing for most people in America. The mystery of what happens after death has been haunting us for as long as history has been recorded. In Mexico; however, death is celebrated. Day of the Dead, or Día de los Muertos, is a two-day long holiday that celebrates loved ones who are deceased. Every year Day of the Dead starts on October 31, and ends on November 2. Day of the Dead is a well-known holiday, but most Americans who don’t celebrate the holiday really don’t know the history and culture behind it. Day of the Dead started back when the Aztecs still ruled the area that is now Mexico. They believed that death was only part of a life cycle; a type of beginning of a new life stage. The Aztecs had certain rituals and even had offerings to a “Lady of the Dead” for deceased children and adults. The Spanish conquering of the Aztecs’ region fused their Catholic beliefs with the Aztec ideas of death to make Day of the Dead. 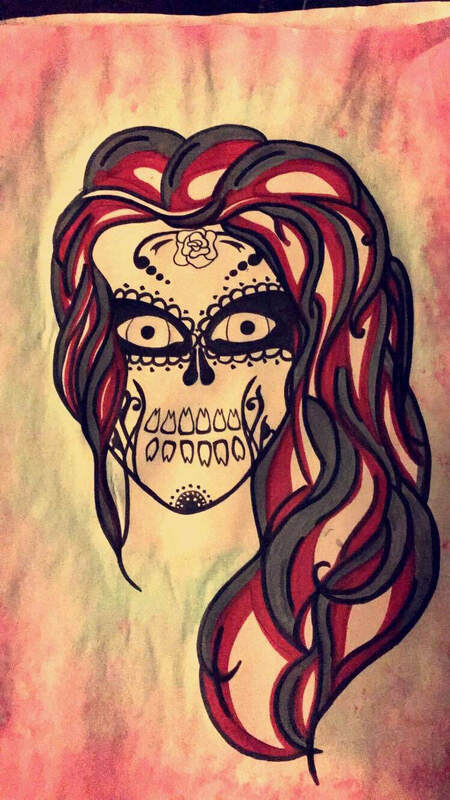 Today, Day of the Dead is celebrated all across Mexico and in many of parts of the U.S., and it celebrates and honors deceased loved ones. Although it varies among what region of Mexico you’re n, there are a lot of traditions on how to celebrate the holiday. One of those traditions is visiting gravesites of loved ones who have died. When at the gravesites, people decorate them with candles, flowers, and even the favorite foods of that person. After visiting the gravesites, people make altars, or “ofrendas.” The altars are decorated with flowers, candles or incense, the loved one’s favorite food and drinks, ceramic or sugar skulls or “calaveras”, and most importantly, pictures of the person. The incense is an important part of the altar. It is used to decorate the altar and can also be used to see when the spirits arrive. After the altar is set up, the family then waits for the spirit of the loved one to come back to where they set up the altar. They do this for specifically for the deceased adults on Nov. 2, and then they have a separate day for deceased kids, who are celebrated on the eve of Oct. 31 and Nov. 1. Another staple of Day of the Dead are Marigolds. Marigolds were considered a sacred flower to the Aztecs, and they are supposed to guide the loved ones back to their family’s house using the scent and bright color of the flower. Day of the Dead is widely celebrated in Mexico because it’s such an important part of their culture, but for many Americans, it’s still a bit of a mystery or not even on their radar. Most of the celebrations have passed for this year, but you can keep an eye out for the Walker’s Point festival for 2018. If you are interested in still celebrating it this year; however, there is the Latino Inc. Exhibition (see link below for additional information). The exhibition is going on from now until November 18, and entrance is only a dollar. You can also celebrate Day of the Dead on your own. Go to the graves of loved one’s and pay your respects or make an altar for them. Day of the Dead is the perfect holiday to remember all of the people who are deceased who you love. Many people wonder what the teachers of this school are really thinking about, such as how they see the school as a whole and how they view their students. Or even vice versa — many teachers or faculty members wonder how the freshmen students experience Ronald Reagan. Sra. Haynes is a ninth grade Spanish teacher. She started working at Reagan at the beginning of this year. Before she got to know any of the students at our school, she started off having really high hopes for us IB learners. Haynes knew we were going to be studious, knowledgeable, and focused. She still sometimes finds the stairwells a bit confusing, never knowing which ones lead to which floors. She feels that an ideal classroom environment should be more relaxed — less like a classroom — with bean bag chairs and couches instead of hard desks. Haynes also feels that the students receive a fair amount of homework. She has been excited to get to know new students, new people, and find new opportunities since the beginning of the school year. Her image of an exemplary IB learner is someone who is as follows: self-motivated, focused, self-monitored, inquisitive, and tactful. Molfino is a fun spirited, freshman algebra teacher. Molfino is a student favorite. His ideas regarding the students before this year started were that the students were going to be more joyful and full of love. He knew this year’s class was going to be pretty bulky, but they would make this school work in a more fun way. His view on the amount of homework given to the freshmen is that it is a fair amount, and we could actually use more. But the quantity is less valuable than the actual quality of the homework given. Molfino feels that that every student learns best in different environments. Some may need individual work time, while others thrive in very collaborative spaces. Molfino claimed that he was “AMPED” when this school year came around. Yarelis Rodriguez is a fellow freshman here at Ronald Reagan High School. Her initial expectations from the high school teachers this year were that they were going to be a bit meaner and much more strict. The strange layout of our school didn't help with the adaptations into the high school lifestyle. She feels that the design of the school is confusing at first, but you eventually get used to it. Rodriguez feels that the students can focus more in collaborative environments where we can share our ideas and learn from each other. This freshman's opinion on the quantity of homework is that there is far too much of it. And that it is a burden to juggle homework and after school activities. There is just not enough time in the day. The very first day of school gave her mixed feelings. She was both excited to try something new and nervous about getting lost and not knowing anyone in her classes. Sehiry Sandoval is also a freshman. She started this year expecting the teachers to be like those expressed on TV. She figured they would be “laid back”, while still being strict. To this day, Sandoval can still get lost on her way to her classes. Though, she does believe that the layout of the school is not as confusing as it may seem. In her opinion, students here at Reagan do not work as well in very collaborative situations, but also should never be completely isolated because this will cause their minds to wander and get them off track. The best learning environment would be a good mix of both. This freshman understands that the amount of homework distributed does not create the best situations for students who have after school responsibilities to attend to. This includes clubs, sports, and homework given from the day before. Bausch is a new freshman here at Reagan High school. He is a member of the Radio Reagan team and is a part of our school’s drumline. Neil expected the teachers at our school to be a lot more strict, but it turns out that they are much more lenient than he anticipated. As far as the layout of the school goes, Bausch feels that once you get used to the school, the hallways become increasingly easier to maneuver. A relatively quiet workspace, with some sound is how he feels pupils can work best. He also feels that listening to music is very beneficial to some students. Bausch understands how the amount of homework given can assist us in learning the criteria, not to mention getting to know how to manage deadlines. Though he does feel that the quantity of homework given can be better suited to his busy schedule. On the very first day of school, Bausch had a combination of feelings of both excitement and nervousness. He was relieved to get a fresh start and leave his eighth grade class behind him. Christopher Moore is a ninth grader who’s had plenty of experience with being an IB learner. In elementary school, he attended the Milwaukee Spanish Immersion School, and in middle school he attended Wedgewood Park School. Moore figured that the teachers he was going to get this year were going to be more active and lively. Moore does not feel that the layout of the school is all that confusing. His views on the amount of take-home work is simply outrageous. He stated, “[There is] a lot to be done in such little time.” As far as he’s seen, students work best in calm atmospheres. Moore was always excited to start high school. He says that a big reason he was looking forward to coming to Reagan, was that we were going to have better food. Weinfurter is a high school english teacher here at Ronald Reagan. Her expectations for this year’s freshman class was that it was obviously going to be much larger in size, and she felt that they were going to be challenging to deal with such big classes, but knew that the students coming in were going to be self-managed and better prepared for this school year. She knew the layout of the school could be confusing at times, especially for new coming students. Her students show the most promise in structured work environments and with specific tasks. Weinfurter relies on the SMART Goal-based work system. A SMART Goal is a system dependent on Structured, Measurable, Attainable, Reliable, and Timely work spaces. On the very first day of school, Weinfurter was thrilled to meet the incoming freshmen, while also being a bit un-nerved about the first impressions she was going to make with the students. After all, first impressions do set the bar for the rest of the school year. Now that we have a bit of insight to the opinions of the Regan teaches and freshman IB learners, we can better see how our school is being experienced and looked at different people. Perhaps having the students’ opinions expressed on the amount of homework the teachers give can shed some light on how what they are assigning in and out of the classroom affects the students. Costa Rica and Nicaragua are almost 3000 miles away, but for a group of Reagan Students who will travel there later this school year, it is getting closer. Students will have the opportunity to go on a ten day trip to Nicaragua and Costa Rica to learn about these beautiful countries filled with a variety of food and have unique cultural experiences. Students gathered in the Reagan Library for an informational meeting about the trip and learn more from Ms. Schuld, who is organizing the trip and is accompanied by Mr. Molfino, Mr. Walker, and Mr. Koester. Travel is an important opportunity for students to take advantage of. “I started traveling in college..the second I started I fell in love with it because it changed me into a more confident and independent person,” said Schuld. While this will be a fun experience, there is going to be a an opportunity for students to “see the bigger picture of it not being just a vacation but get the academic pull from it.” Students will benefit from learning in the field as well as the independent research that they will have to do on the trip. Both countries have many fun activities and events for students to see. Schuld said they will be exploring marine wildlife through fun activities like snorkeling, as well as exploring the biodiversity that is not available in Milwaukee. Schuld is personally looking forward to seeing the sloths. Along with the biodiversity students will experience the rich culture through the art and history of the region, and of course the food. Schuld was surprised at how many students enjoyed trying new foods during last years trip. The whole trip is planned in advance and divided into different categories. While in Nicaragua, students will focus on history, and while in Costa Rica the focus will be on science. The many art students going on the trip will be happy to see the cultural and artistic artifacts throughout the trip. 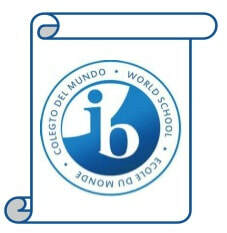 Schuld is excited to visit The British School of Costa Rica, which is an IB school. Students can exchange ideas and their thoughts on IB with other IB learners. “Students will fly to Nicaragua and take the bus to Costa Rica,” Schuld explained. “We will stay in Nicaragua for the first three days, and Costa Rica for the rest of the trip.” Another important part students should know is the basics of the trip such as where will they stay — the itinerary has the students staying different places almost every night. It will be a cool experience because they will be staying at family owned places and other types of hotels. Some students already signed up to go to the trip during the first meeting, so from a student's perspective how will this trip benefit them? Abigail and Rohit both went on the trip last year to the Galapagos Islands and Ecuador, and plan to go to this year's trip. Abigail said she thinks the trip would be beneficial because it’s about learning about different cultures and how people interact in another country. Rohit says that it’s about the experience he will gain that he wouldn’t get in school. They also think this is a great opportunity that their peers should take advantage of. “You’re going to a country through a school program and it's a great once in a lifetime opportunity,” said Rohit. He also said this is a great opportunity cost wise, although it might seem a lot at first. The fundraising they do throughout the year helps a lot. Both students said this is a great opportunity “I like to travel, so getting to go to different countries and learning is cool.” Abigail said. “I love the idea of going to different countries and being diverse,” Rohit said. He also mentioned that he is looking forward to using Spanish to communicate with others as he did last year. The next meetings are all mandatory for students and parents who are interested in traveling. The December 9 meeting is about the research project the students will have to do, as well as getting the MPS medication and travel paperwork. Students will also learn about the fundraising that will be required for the trip. For students that plan to go and that don’t have a passport, they should start to get one soon. The passport process takes up to six weeks, so it’s important to start as soon as possible. You are able to take your passport pictures at a Walgreens, CVS, or your local Post Office. Passport fees are $105 for students under sixteen, and $135 if they are older than sixteen. Student’s and their families might be worried about the price. To see the exact cost go to the website: http://reagantravelprogram.weebly.com/. Keep in mind that there will be a lot of fundraising to get the price down. You will also have the option of payment plans (which is also found in the website under the tab of meeting materials). 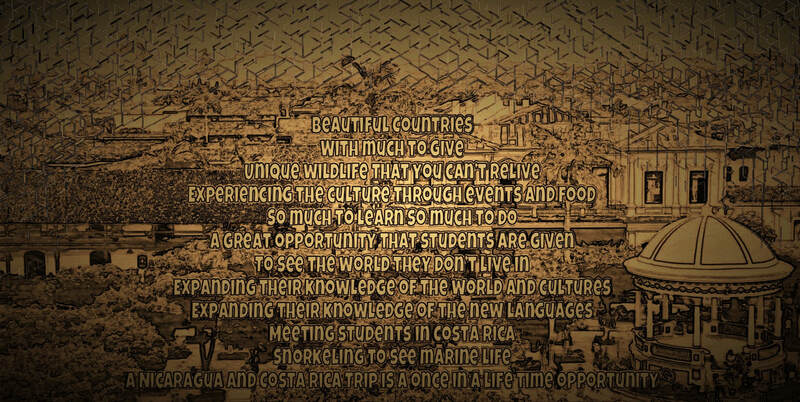 The Costa Rica and Nicaragua trip is a once in a lifetime opportunity that students are given. Students will have a full cultural learning experience throughout the trip. Although they might be nervous about leaving the country, when they get there they will enjoy the events, food, and other amazing activities planned. The students will be able to try new foods, snorkel, and learn the history of the countries through the beautiful art and architecture. In the end it’s worth all the effort because you will be able to have experiences you can’t have here in Milwaukee or even in other parts of the United States. Ronald Reagan IB’s culture is full of high achieving students and challenging curriculum that can be overwhelming. The Link Crew are students who with the goal of welcoming the incoming Freshmen and providing them continued support throughout their first year in high school. One way Link Crew is trying to support the class of 2021 is through Link Alerts and Link Applause. In Ronald Reagan IB’s culture, the institution contains high achieving students with a challenging curriculum that can be overwhelming. Link Crew are upperclassmen who seeks with the goal of embracing Freshmen into the community and provide them continuous assistance throughout their first year in high school. Link Alert and Appraisals are one way Link Crew is trying to support the class of 2021 for their first year. Each year, Freshman are assigned to a Link Leader who provides answers to their inquiries and offer support throughout their year. Link Alert and Link Appraisals monitor freshman with a network of trusted with Link Leaders who act as a resource and support for academic or personal concerns. Link Applause brings rewards such as Husky Bucks and high fives, while Link Alerts allow Leaders and Teachers to identify students who need extra attention. Ms. Betsy McGinnity, Reagan Guidance Counsellor and Co-Leader of Link Crew helped start Link Alerts and Link Applause and says it is a way to approach Freshmen to get them fully connected to their link leaders and receive an additional resource for success in Reagan’s community. Ms. McGinnity is in charge of sending the Alerts and the Applause to the Leaders. Leaders are called into her office to receive background information on their Freshman. After a link leader receives their report, the link leader schedules time with their freshmen and have a one on one session to address the issue. Link Applause functions to recognise a Freshman's contribution to the school community by posting award letters onto their lockers and deliver a bag of candy to them during a class period. According to Link Leader Charlotte Mclinden describes the benefit of the system saying that “it's a good system for them, It helps us be a parental figure for them in school. Link Alerts helped me develop problem solving skills and empathize with them on a personal level”. The mission of Link Crew’s Link Alerts and Applause is to have freshmen build a trust with Link Leaders by recognizing their accomplishment and identifying when they are struggling. This supports the student and reaffirms the importance of community and accomplishing academic tasks. If you would like to recognize a freshman for Link Applause, see a Link Leader or talk to Ms. McGinnity about the nomination process.